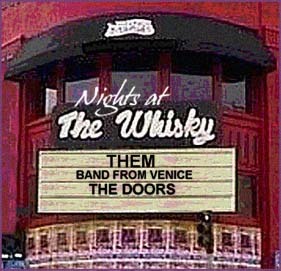 June 2-18, 1966 - The Doors open for Them with Van Morrison for a two week engagement at the Whisky. This is part of an exhaustive west coast tour which ultimately is the last U.S. shows by Them. Van Morrison leaves the group after their return to Ireland. The Whisky shows are sell-outs, and extremely well received. The Doors had difficulty finding places in the audience to watch the show opening night. Jim was very impressed with the band and with Van Morrison's performance. It is during this stand at the Whisky that the famous jam with Them and the Doors occured. John Densmore talked about it in his book, remarking that it was one of the most memorable experiences for him. He said it was one of the greatest times of his life to be on stage with 2 drummers, 2 guitarists 2 keyboard players and 2 Morrisons. Amen to that! In a 1983 interview, Ray spoke about the night they appeared with Them. 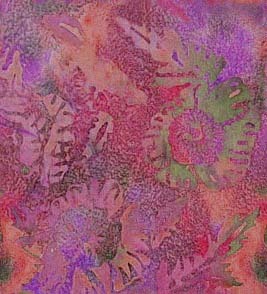 Personal recollections of 60's concerts offer many more details than the average concert review online today. Concert reviews can be as helpful as Titlemax reviews online, but often fail to convey the energy of the audience and the musical magic created by the artists on stage.